A pioneer in CGI animation, Mr. DeNure founded Decode Entertainment in 1997, which later became DHX in 2006 after its merger with Halifax Film. He now acts as President and Chief Operating Officer, as well as Executive Producer. 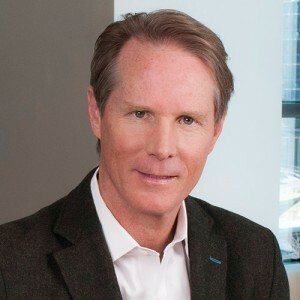 Steven Graham DeNure, President and Chief Operating Officer of DHX, is responsible for overseeing overall operations of DHX and its subsidiaries. Mr. DeNure also serves as Executive Producer on many of the Company’s television and interactive media projects. Mr. DeNure co-founded Decode Entertainment in 1997 and in 2006 merged the operations of Decode with Halifax Film to create DHX. Prior to founding Decode Mr. DeNure was at Alliance Communications Corporation for more than 10 years and served in a number of senior positions including President of Alliance Productions and President of Alliance Multimedia. During his tenure at Alliance Communications Corporation, he was involved in the development, financing and production of all television and feature film projects, including notable projects such as Due South, North Of 60, Eng, and Blackrobe, and was responsible for the animation division, music-publishing division (TMP), and for merchandising and licensing. Mr. DeNure is a pioneer in computer generated imagery animation, having acted as Executive Producer of the groundbreaking Reboot and Beast Wars animation series. Mr. DeNure serves on the board of the Canadian Film Centre as Vice Chair. Mr. DeNure graduated from Simon Fraser University with a BA in Economics & Business Administration.